It’s been suggested that people wouldn’t recognize themselves in public because the view that we get from the mirror isn’t an accurate representation of our everyday appearance. It might be just as difficult for us to recognize our own personalities. Though some of us are born with innate traits or talents such as creativity and athleticism, much of what we are today has been created from the experiences we have throughout our life. Once you’ve gone through a life changing experience, you develop new habits and personality traits that can be difficult to break but not impossible. There are practices and techniques that have been discovered that allow people to bring a much-needed positive change in their attitudes. The work may be difficult and at times uncomfortable, but change doesn’t happen in your comfort zone. First things first: mental and physical health. No advice about changing your life will be applicable if you are unable to take the necessary steps in taking care of your body and mind. Being healthy begins with each and every decision that you make every day. The hard part is actually putting this into action. Starting out small—for example, by taking the stairs instead of the escalator, and bringing fruit for a snack instead of a donut—will slowly teach your mind to seek out the healthiest road between two options. This conscious shift—albeit small at first—will begin to build, creating a habitual practice out of healthy decisions. Start small, form the habit, then move on to bigger goals. Using positive self-talk to prime your brain works similarly to the advertising techniques that fast food companies use. Simply hearing the phrase “I love it” could make you think of the slogan “I’m loving it” and from seemingly out of nowhere you begin to crave a burger even if you haven’t seen or heard a McDonald’s commercial in days. This same technique of repeating certain phrases or words can be used in order to create a more positive mind set. All of these words represent a part of being independent and when read aloud can sink into your self-conscience and reappear throughout your day. Say there is a poster about a leadership conference, the word “leader” will bring you back to your independent state of mind and you will be more interested in going to the conference when otherwise you would have avoided the opportunity. Most of us struggle with our emotions because we don’t know where they are coming from or how to handle them. Acting can help people identify with their emotions and bring them forward rather than burying them with denial. A Milwaukee company called “The Battery Factory” created a program known as “The Feast of Crispian,” helping veterans deal with repressed emotions by acting out scenes from Shakespeare’s plays. Through acting, the veterans can emotionally connect with the character they are portraying, allowing them to express their suppressed feelings through an alternate persona. This technique can help anyone who has difficulties dealing with buried feelings. By expressing your negative emotions through acting, you can prevent your unused feelings from boiling over and revealing themselves at different times in your life. So when you are having a particularly difficult day, instead of taking it out on a friend or loved one, you can express these feelings through acting out the lines of a character in a play that is dealing with a situation that brings out similar emotions. The only way to truly learn about who you are is to constantly push yourself to your limits. By testing new skills and developing habits that are outside of your usual realm will help you develop into the best possible version of yourself. It’s like learning to climb a tree. At first, it seems impossible and dangerous, but those initial fears begin to dissipate with each passing branch. Eventually, you reach the top not only with a new skill but also with a new understanding of what you are able to accomplish. With each new task presented in our lives, we are initially faced with fear and self-doubt. By stepping outside of your comfort zone, you can build confidence and unveil capabilities within yourself that you never knew were there. Simply put, positive change requires you to actually change something, which means stepping out of your comfort zone. Every week, assign yourself a task that will actively take you away from this realm of familiarity. It’s not really like keeping a diary; you don’t have to put every single detail of your day on paper. 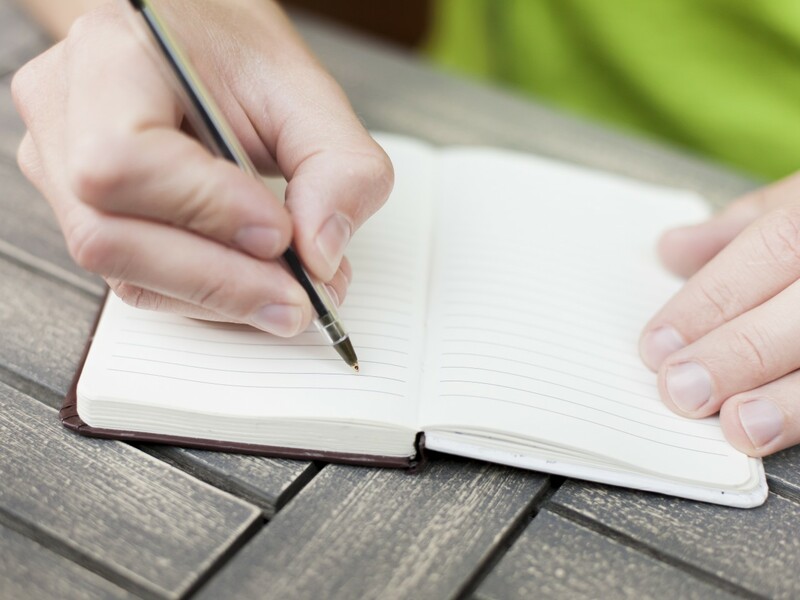 The idea is to write down your thoughts whenever you’re feeling an intense emotion such as anger or jealousy. After writing down what you’re feeling, try to decipher where the emotions are coming from so you can have a better understanding of the situation. Imagine that you’re on your way to work when you spot two friends having a casual lunch without you. The thoughts that are running through your mind are probably filled with anger and hurt. Take a few moments to breathe, and then write everything down. The next step is to ask yourself why this is happening and why you’re feeling the way you are. You’re probably feeling hurt from being excluded, but is that really the situation at hand? Think of the alternative possibilities for your friends’ actions instead of jumping to the worst case scenario. It’s possible that your friends had something important to discuss. It’s possible that they simply didn’t know what time you were working or that you had a break. By allowing yourself to slow down and assess the situation, you are able to see the conflict for what it really is instead of passing judgment purely based on surface emotion.